Winds of Winter Release Date: Winter is Coming! Yes, you read that right. Winds of Winter is coming in 2019. According to famous writer George R.R. Martin, his new book WoW in the A Song of Ice and Fire novel series is coming this year only. But many are in doubt if it’s going to see the daylight this year. It has been a gap of six years since the previous book ‘A Dance with Dragon’ was released. But the wait of Martin’s fans will be carried over to the next year. This book was much awaited because many deadlines for the same has been missed earlier and hence people have waited a long time for this book. On his blog, he has mentioned that he is months away from completing his book. The final two books are rumored to have 1500 pages each with no shortcut narrative. Here, we have rounded up everything from news to rumors to every single major update including some theories too. Martin seems to have been trolling us every now and then about it. 1.1.1 When will it come, after or before Game of Thrones Season 8? 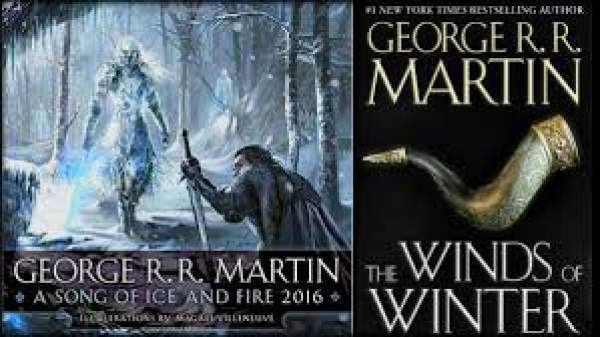 1.2 How many books yet to come in series A Song of Ice and Fire? 1.3 Winds of Winters: Will There Be Two More Volumes? 1.4 How will The Winds of Winter begin? 1.5 The Winds of Winter: Are There Any More Chapters? 1.6 WoW: What Readers May Want To Read? As we all know the Game of Thrones series has taken liberty from Martin’s book and hence we can accept more from the book other than TV series. In response to a comment of one fan on the blog in January 2017, he quoted that “I think it will be out this year.” But he has not mentioned the exact dates. However, you can now feel that it’s coming any time in 2017. Let’s pray for it to come as early as possible. It may seem outlandish and Nerdist to have some pretty good reasons to believe a fan’s claim that the author has finished writing WoW and is now working on his next project. Well, you can’t deny the fact that there is something fishy going on. At first in 2012, Martin said that he has finished chapters for his sixth book in 2010. In 2014, he said that it would be finished in a few months. But, it hasn’t been released to date. It has been around five years since then and the book has missed many launch dates. According to that fan, the author is not going to release the novel until the series finale to avoid any kind of logistics issue. He also said that Martin may be holding on to it in case if it needs some tweaking. It’s probably because he wants to give the best on the landing on the defining work of his career. When will it come, after or before Game of Thrones Season 8? There is no official statement about this, but though Martin is busy in writing Windsof Winter. But in between, he had asked his fans for a suggestion for entirely different projects. But still, we can predict that the Winds of Winter is coming. He has also announced and released/published the different short story in Westeros in October 2017 which is named Sons of Dragons. If Martin’s book Winds ofWinter is going to come next year, then it can coincide with the debut of Game of Thrones season 8. Share: Happy Easter Quotes | Happy Good Friday Quotes | National Puppy Day Quotes. How many books yet to come in series A Song of Ice and Fire? Two books are left in this series. One is sixth in the series (The WoW) and last in the series that is seventh (A Dream of Spring). A fan theorist says that Martin has already completed the WoW and is now working on A Dream of Spring. Winds of Winters: Will There Be Two More Volumes? Due to the lengthiness of books earlier author has split book #3 (A Storm of Swords) and book #5 (A Dance with Dragons) into two volumes, so we can probably see the two volumes of this book also. According to Martin, the final two books of the series are “enormous,” he added that in seventh that is the final book (A Dream of Spring). He has tried to wrap up everything giving the book the length of another 1500 pages. This another 1500 pages can be interpreted that there can handle two volume for this novel. How will The Winds of Winter begin? The Winds of Winter: Are There Any More Chapters? WoW: What Readers May Want To Read? 1. Is Quentyn Martell still alive? The existence of Quentyn will be very exciting to know about this. This story becomes more interesting because the person we had seen dying Quentyn had died in the almost unrecognizable state it does mean that it could conceivably be an imposter. 2. Will Stannis survive the siege of Winterfell? Stannis, as well as Brienne, were absent in the book for a long time, but Brienne is furious with Stannis for killing Lord Renly, but she is not near Winterfell now. But we can’t neglect the possibilities of getting doomed of him. He is the very critical situation as he is running out of supply and also he does not know whether Ramsay will exit Winterfell and come to him. Hence it becomes to see whether he will be alive or dead. There is much suspense to be broken in this book like Where is Brienne taking Jaime, Will Sansa marry Harry the Heir?, Will Aegon take Storm’s End?, Will Arya return to Westeros? And much more. 3. What is Samwell Tarly up to? Same’s discoveries will build up the anticipation. 4. How is Jon Snow going to resurrect? Martin discussed his upcoming book on one of his latest Livejournal’s blog entry. He wrote that some of the publishers are asking to split up the book in two or more parts as there is too much content involved, but he is not considering that notion. Also, he confirmed not to have started working on the seventh book as of now. Martin said that Targaryen tome, Fire and Blood, will be published in November 2018, before Winds of Winter. HBO has ordered a pilot for the first of possibly five spinoffs. Martin has cowritten the script with Goldman. Goldman will serve as the showrunner. It will happen 10,000 years in the past and will focus on the Age of Heroes. The author has debunked the speculations that books are ready for the publication and/or will be out in 2018. On his LiveJournal blog, he mentioned that he, still, has a long way to go for it. However, the new reports claim that it would be out before Game of Thrones season 8 which premieres in 2019. So, a 2019 Winds of Winter release date seems plausible. The latest reports state that the book will be delayed further as the Martin will be busy with his new project. Along with writing, the author has been busy with other activities too. He has contributed his time to Game of Thrones series and many speculate that this could one of the reasons. As per the reports, Martin is busy with the launch of the Stagecoach Foundation project. Reportedly, someone has donated a 30,000 square foot building in Santa Fe to his new facility and nonprofit office. It will be dedicated to both established and emerging filmmakers and companies. Thus, the fans should not expect the novel anytime soon. It is alleged that it is not among his top priorities as of now. In an interview with IGN, he stated that a plot twist different from the Game of Thrones tv series would be added in the book. There are no official words on the official release date. It is speculated that he will release his new book on his 70th birthday next year. Latest speculations say that it will be released in June this year before the release of Game of Thrones season 7. However, it may turn out to be another disappointment for the fans. In another news, IBTimes cited one more fan theory. And it is regarding another Greenseer apart from Bran. George Martin has said that there will be a weirwood tree with features and characteristics like a human. It is being speculated that it may have lived for over 80k years. Could this tree be another Greenseer in The Winds of Winter? Guess what, we need to wait for the release to find out. The author has said that the upcoming novel will answer all the cliffhangers that were made in ‘A Dance with Dragons.’ Also, there will be two big battles and the book will concentrate on the battle between seven clans. The work will also feature Others and would feature someplace other than the North. However, the actual release date for the Winds of Winter hasn’t been confirmed yet. In a LiveJournal entry, the author mentioned that he continued working on the said book along with Game of Thrones spin-offs (which are prequels) and other projects. He went on to enumerate that he is simultaneously working on – WINDS OF WINTER, five successor shows, FIRE AND BLOOD, four new Wild Cards books, and some other stuff which he didn’t disclose. He wished he could do more work in a day. 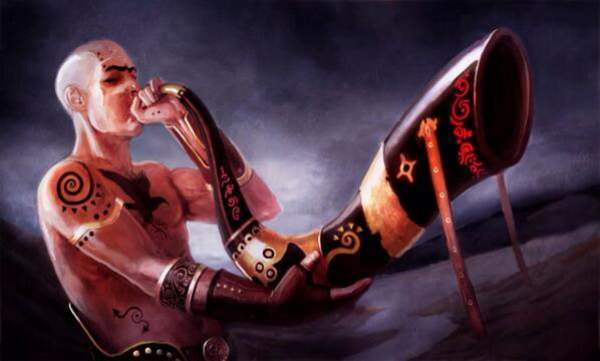 This article – Winds of Winter release date is being continually updated. So, be ready to get all the unanswered question answered. Stay tuned for more updated on The Reporter Times for more updates on this book. Previous articleWindows 11 Updates: Will There Be A Next Version of Windows 10? Win 12?